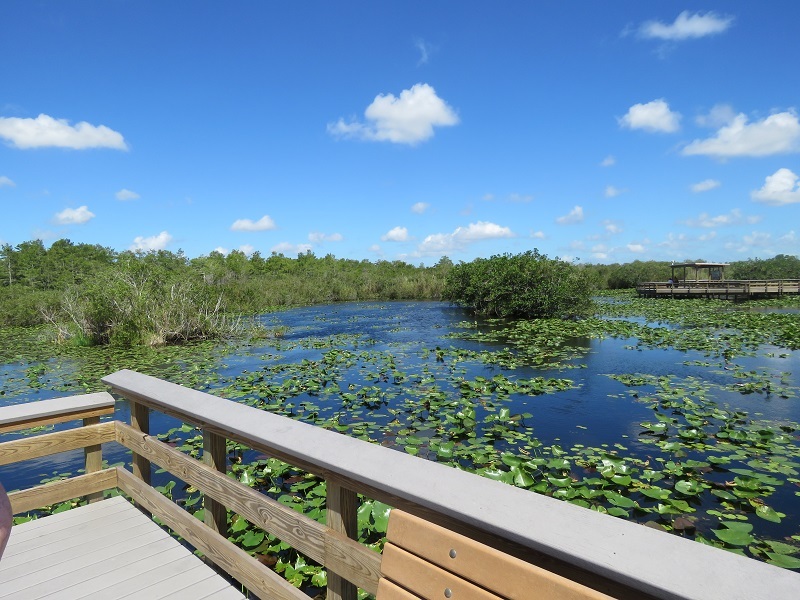 The Anhinga Trail is a paved walkway and boardwalk in Everglades National Park that runs over a freshwater sawgrass marsh (Taylor Slough). It is known as one of the best places with easy access to photograph wading birds and alligators because of their numbers and their tolerance of people on the boardwalk. It is just under a half mile to a series of viewing platforms that allow you to see out over the anhinga nesting area. Round trip, it is a .8 mile trail. The Royal Palm Visitor Center is at the start of the trail and there are a few ranger-led walks leaving from the center during the day. 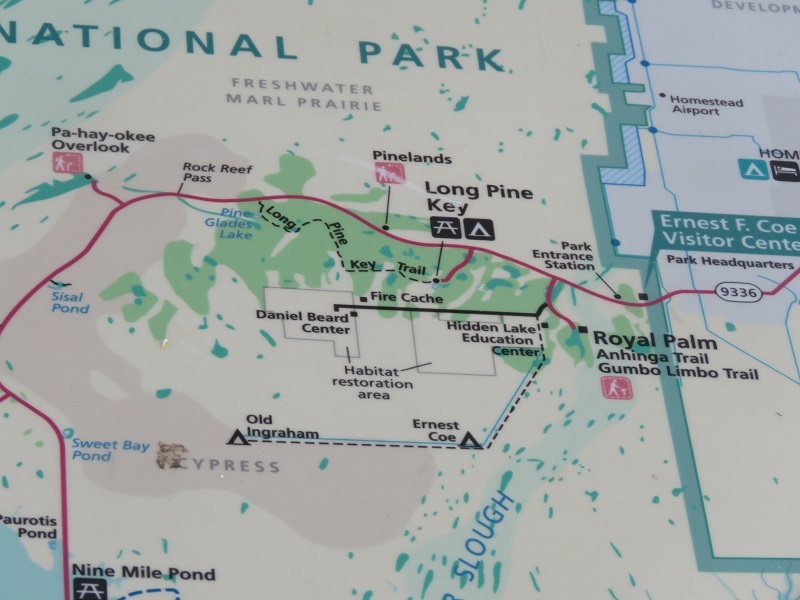 You can see Royal Palm and the Anhinga Trail on the right side of the park in this portion of the map. The trail is named for a diving bird that nests here. An anhinga is a dark water bird with long thin neck and long tail that is found in swamps in the Southern United States. 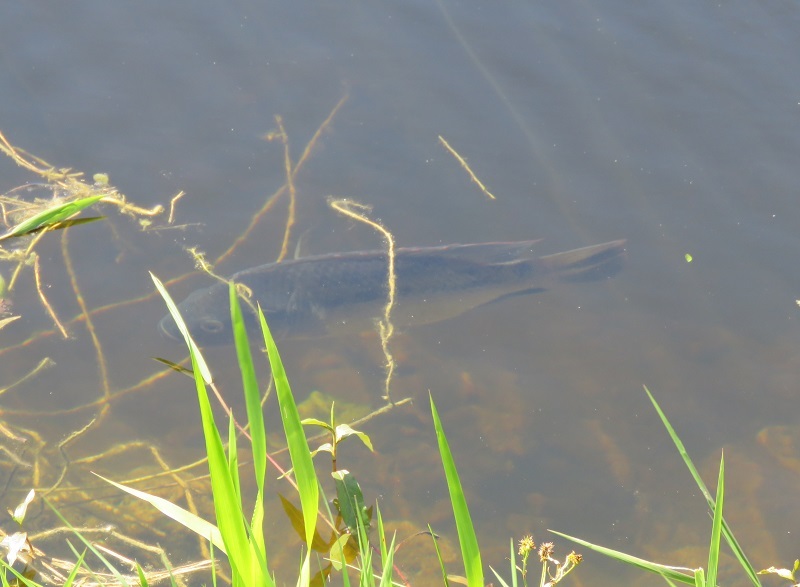 We saw a few in Shark Valley as well as one at Disney Springs (formerly Downtown Disney). The anhinga has trouble flying while its wings are wet, so you will see them sunning themselves to dry off. 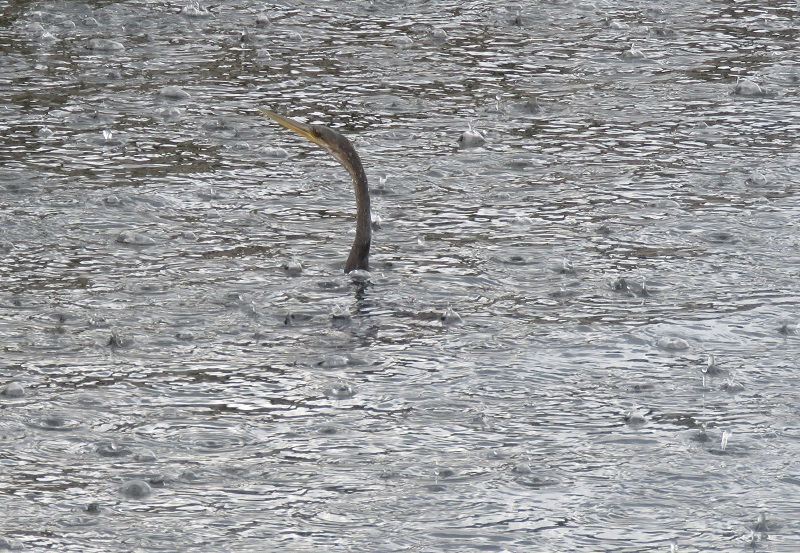 They are also known for swimming through the water with only their long neck and head protruding. 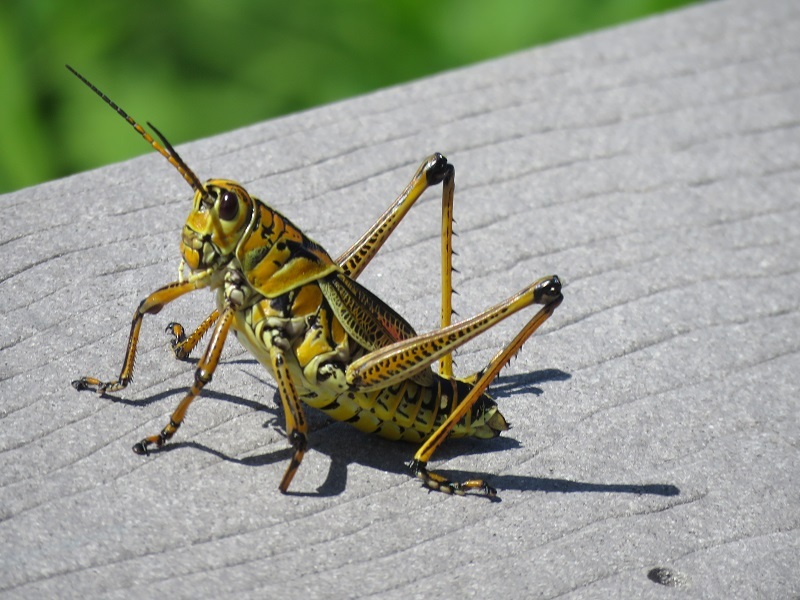 They also have a variety of other wildlife, including alligators, some of the largest grasshoppers I have ever seen, and fish. We came to the Anhinga Trail in the heat of the day in the summer after an action packed trip with the Shark Valley Tram Tour. We were a little disappointed because we had high hopes to get some good photographs of birds and yet didn’t see a single wading/diving bird. We also baked in the sun. 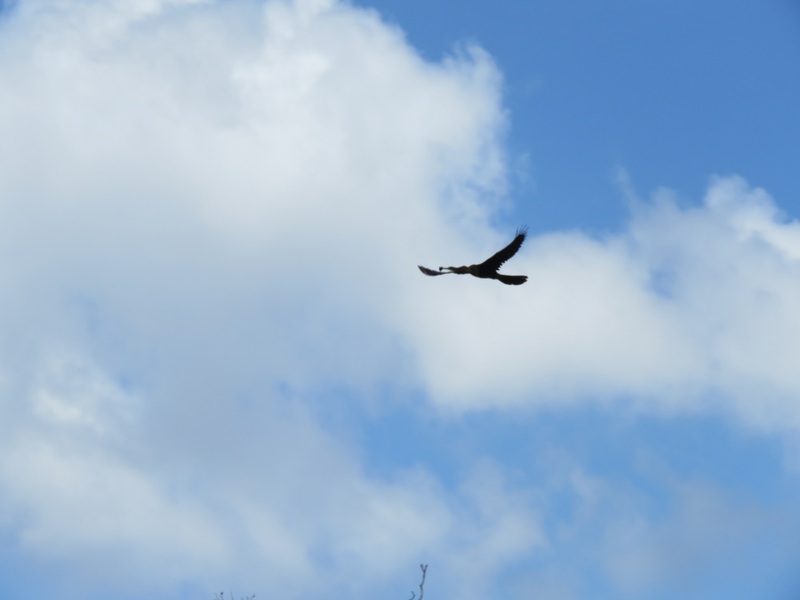 We definitely saw the appeal of visiting the Anhinga Trail though – it was beautiful. So we’ll just have to come back in the winter and try again. 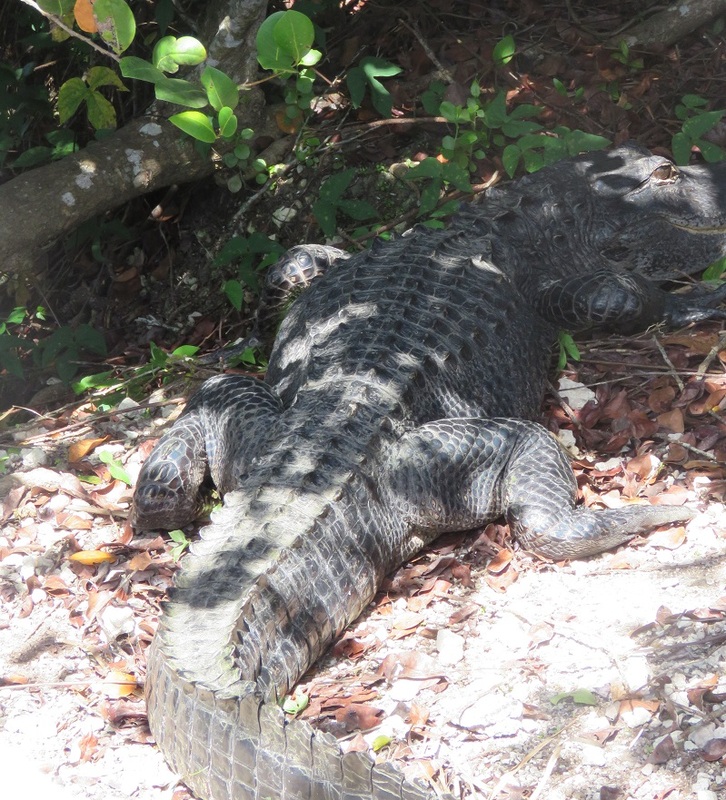 One of the coolest parts of our stop here was seeing a huge alligator basking in the sun right next to the boardwalk. We saw a few alligators swimming while we were at Shark Valley, as well as a few babies along the side of the road, but this was our first up close and personal encounter with an adult alligator. How much time does it take to walk the trail? We would plan for a total visit time of approximately one hour. We walked at a leisurely pace looking for birds and gators, and we completed the trail easily in under an hour. If you actually do see birds in the marsh at the viewing platform, you may want to stay longer and observe. You can also access the Gumbo Limbo trail from the parking lot here.